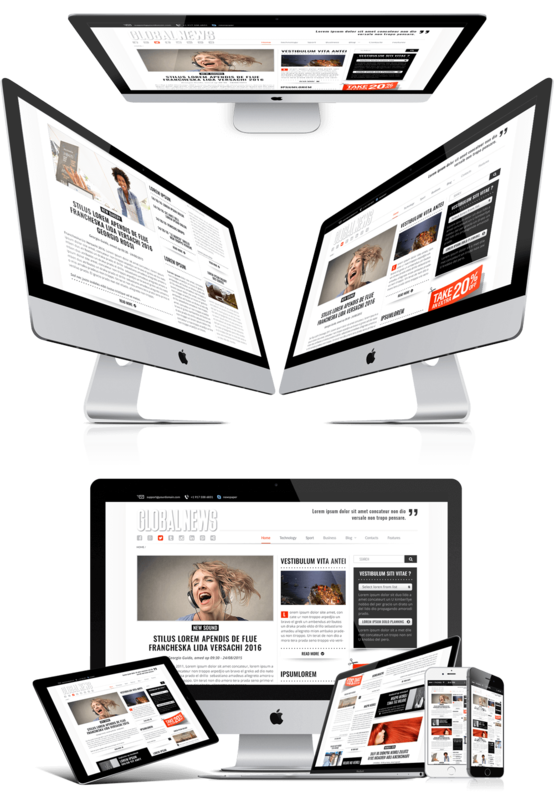 This is a Bootstrap template that is for customers who have an online newspaper, business or personal magazines, blog websites about various topics and etc. The web designers have worked hard to create this Bootstrap template and offer it with drag and drop function. For the additional function, designers created a special script for the theme and by using this script, customers can easily create the page design before making it public. There is also provided the video presentation that demonstrates how this feature, drag and drop works, so preview it to better understand it. Purchasing and using the provided website template will guarantee you that the website will not have any accessibility problems, because it is compatible with various browsers, like Internet Explorer, Google Chrome, Safari, Opera and Firefox. Also, the template has a responsive design which means that a website can be opened through various devices like computers, laptops, tablets, mobile phones and etc. Moreover, the website’s design will be altered based on the device that is used to access a webpage. In other words, customers will always be able to access a website with flawless design, that will make them highly satisfied. 1. Home – This will be the main page of the online newspaper or magazine, therefore, it should contain the most recent, interesting and engaging information. The design and content of the home page will affect largely viewers’ behavior, for instance, whether they will stay on the website long enough to review all the pages. You include the images that would be related to the provided news if you like the images that are encompassed in the template, feel free to use them since they are included in the charged fee. 2. Technology – On this page can be presented the news and information about technology. It is very important since technology develops with high pace and there are a lot of topics that can be discussed. You can include as much information as you would like since there is a lot of space. 3. Sport – On this page should distribute information and news that are related to the sports. The sport has been a hot topic for a very long time and the news about it will guarantee a high number of readers. You can categorize the information based on types of sport. 4. Business- On this page should be distributed the information about business related news and activities. There a number of sections on this page, therefore, you can categorize the information for instance based on their importance. 5. Category – Here are provided a number of pages that can be employed to share the news about art, culture, fashion, industry or whatever topic you choose to write about. As you see there is a lot of space, therefore, your online newspaper will be able to cover many different topics. 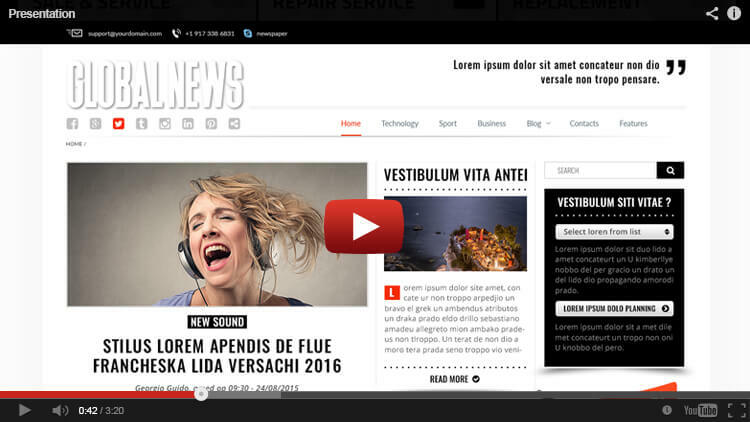 As you might notice this drag and drop Bootstrap template has a lot to offer, so if you are willing to launch an online newspaper or magazine, download the provided theme and make it yours. If you have questions, regarding any topic, please leave them in the comment section and our support team will respond to them as soon as possible. The support team will answer the questions using video tutorials to facilitate the explanatory process.